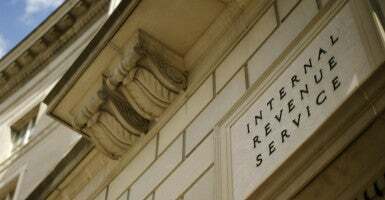 A nonprofit legal organization that advocates freedom of religion is demanding that the Internal Revenue Service explain how it audits churches. “The freedom of religion is too important to … allow an administrative agency with enormous power like the IRS to just do as it pleases, with no accountability,” Erik Stanley, Alliance Defending Freedom senior counsel, told The Daily Signal in an interview. Alliance Defending Freedom filed a motion with the U.S. District Court for the District of Columbia on April 8, alleging that the IRS has failed to fully comply with a legal obligation to release documents related to the federal agency’s internal policies and procedures. Stanley said the organization’s legal team is holding the IRS’ “feet to the fire” to make sure the constitutional rights of churches are protected. Alliance Defending Freedom began its investigation after the Freedom From Religion Foundation, a nonprofit that promotes the separation of church and state, filed a lawsuit against the IRS and an Anglican church. The foundation described a priest’s pro-life advocacy as a violation of the church’s tax status and demanded that the IRS enforce its ban on politicking from the pulpit. The case ended up being dismissed—at the foundation’s request—by a Wisconsin federal judge. The Freedom From Religion Foundation had requested the dismissal of its own lawsuit because it was assured by the IRS that the agency would adopt new protocols and procedures for church investigations, according to a press release from the foundation. All Alliance Defending Freedom wants to know is what those protocols and procedures are, Stanley said. Congress passed a bill in 1984 placing statutory restrictions on the IRS’ “inquiries and examinations on church tax status or tax liabilities.” A Minnesota church successfully challenged the agency’s procedures in a 2009 court battle, yet the IRS has failed to update its regulations since, Stanley told The Daily Signal. Stanley said the IRS should be more transparent after its history of problems with auditing churches and what he described as the agency’s “politically motivated abuse of power,” such as the agency’s targeting of the Tea Party. “That’s really what this boils down to, is if [the IRS] can tell us that they are respecting the constitutional rights of churches when they are auditing them—that’s what we’re trying to get to the bottom of. And there should be no reason why the IRS should be cagey about that at all,” Stanley said. The IRS did not respond to The Daily Signal’s request for comment. Note: In 2014, Mariana Barillas attended Alliance Defending Freedom’s Collegiate Academy, now called the Areté Academy.